What I like about my weekends is the thrill of experiencing exciting new places, as much as discovering less popular ones. I am very curious: I seek going to new places, and I love to travel. I’m sure most would say, that the best part of seeking these experiences, is the surprise discovery of something unexpectedly good. And it’s even better if it has to do with nachos, tacos, and good music. I was invited to go to a music event a few Saturday nights ago along with my boyfriend, to a local bar in East Northport. 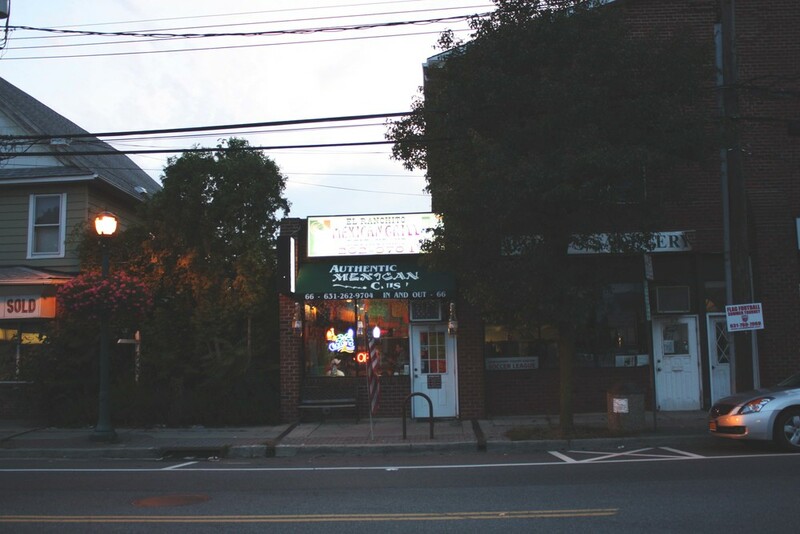 East Northport is a suburban town in Huntington, an hour away from the city on the north shore of Long Island. I've never been to this side of town so I was ready for a little trip. It was a bit late in the day by the time we got to East Northport’s village. The neighborhood was already quiet and empty. After parking the car in a shady backlot, we decided to pick a tiny Mexican place called El Ranchito Mexican Grill Restaurant. I rarely trust self-proclaimed ‘authentic’ tiny restaurants especially tucked in between two taller buildings, but I must say--it was a pleasant surprise. 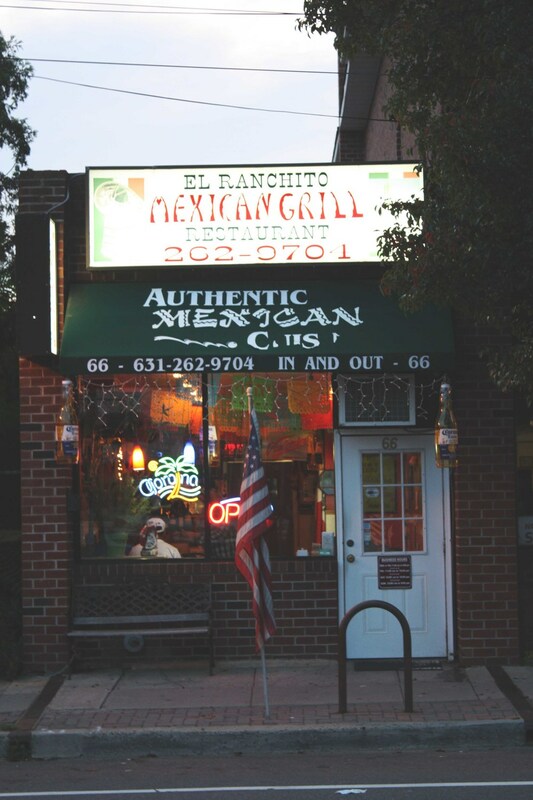 With minimal staff, six tables, zero crowd and a traditional South American decor, El Ranchito was a nice turn from the typical hyped up ‘foodie havens’. After trying their food, I believed the authenticity it claimed, especially in the salsa and guac department. El Ranchito's Taco Salad. Hopefully the image does it justice. Later that night, we picked up a few beers at a local bar across the street and watched friends play some great music. Impressive what only a three-man band can do: it had the perfect rhythm, vibe and sound with the right amount of groove.